With our compilations Electronic Renaissance (Enfant04) and Festival der Genialen Dissidenten (Enfant11) we gave an overview of contemporary independent electronic music. 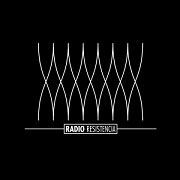 With Radio Resistencia we give another overview of independent music as we see it… and this time not strictly limited to electronic music. Featured are 18 bands from around the world, from Sweden to Australia and from Turkey to the USA. All selected with care to present this mix of sounds and moods. This is our transmission straight into your living room. Welcome to our world, welcome to our sound and welcome to our show!